Lacefield Music was founded in 1995 by Cathy McReynolds and her oldest son Steve Lacefield in South County St. Louis, Missouri. Their vision was to make learning how to play piano possible for everyone regardless of age and at the same time creating a fun atmosphere to learn in. To make this vision a reality, they offered free lessons to anyone in the house over the age of 18 when a family purchased a piano from Lacefield Music. In just the first year the company was growing and in much need of a new employee. This person would forever change the fun factor of our company. Dwayne Hilton was that person and now is a vested partner in the family operation as well the Organist for the St. Louis Cardinals. Just a few years later Larry Lacefield left the piano delivery truck and started learning how to play piano using the Lacefield Music course. After a few months Cathy and Steve decided to kick Dwayne and Larry out of the nest and open a second location. Today, with the original store in South County plus locations in St. Charles and Fairview Heights, IL. Lacefield Music is still offering that same great service in each store and now ONLINE! Lacefield Music was founded with the sole purpose helping people reach their dream of playing piano. At Lacefield Music when you buy a piano, we teach you to play the piano you’ve purchased. After working in a local music store, Lacefield Music founder Cathy Krubsack realized that once people returned home with a newly purchased piano, they were on their own. Without continued guidance and support, the majority of those people never realized their dream of learning to play. So she set out with her son, Steve Lacefield, to change all that. Together, they opened the first Lacefield Music in 1995. In order to pursue a dream of playing piano, you first need a piano. The piano brands we carry at Lacefield Music make use of the manufacturing methods perfected years ago while also embracing the new technologies emerging every day. In all our stores, you will find top-of-the-line Kawai pianos with incredible tone and ultra-responsive touch –at a great price! From concert grands to uprights to high-tech digitals, no matter what you’re looking for in a piano, Lacefield Music has it. Lacefield Music is a nationally recognized but locally owned family business that provides the high-quality pianos and first-rate music education. Our goal is to share our love of music, not force high-pressure sales tactics on our customers. We stock only the highest quality pianos from the best names in the industry. Every Lacefield piano owner receives unlimited free piano lessons FOR LIFE. We not only sell pianos; we help make dreams come true. 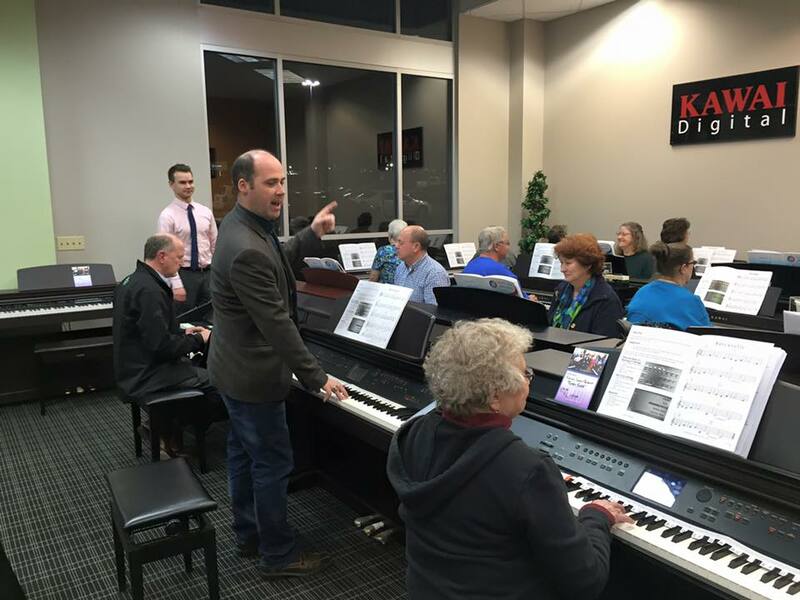 To help people reach their dream of learning to play piano, Lacefield Music offers FREE unlimited lifetime group piano classes to all Lacefield customers. Throughout the week, Lacefield Music piano instructors teach small group piano lessons for all skill levels at each of our stores. Any Lacefield Music piano owner is welcome to register for any of our group classes. With a wide variety of age groups and skill levels, you’re bound to find a class that’s right for you. You won’t find a deal much better than that anywhere else! Founder and president of Lacefield Music. Cathy learned to play the piano as an adult and she believes that anyone who has ever dreamed of playing should have that opportunity. In 1995, Cathy along with her son Steve, opened Lacefield Music in South County. Since, Lacefield Music has grown to three locations in the St. Louis metro area and is an award winning piano and organ retailer. 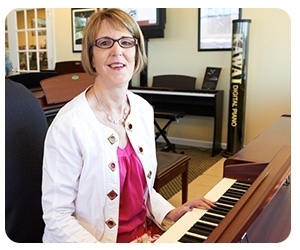 Because of Cathy’s passion of bringing music into people’s lives regardless of age or previous experience, when you purchase a piano or organ at Lacefield Music you get FREE lessons for the rest of your life. Cathy met her husband, Jess McReynolds, when he enrolled at Lacefield Music to learn to play the piano! Partner with Lacefield Music. Dwayne joined Lacefield Music in spring of 1996. He is the official organist for the St. Louis Cardinals, and also plays for Bayless Baptist Church. Dwayne was awarded the prestigious “Best Performance in Group” award at Kawai’s Keyboard Academy in San Pedro, CA. You can find him at our South County store and if you ask nicely, he might play you a ballpark tune. Carolyn is the Comptroller for Lacefield Music. In other words, She counts the beans. She, her husband Ty, & their 4 children live in St.Louis. She loves to spend time with Family & Friends, & sing. If there is karaoke, that is where you can find Carolyn, as well as the rest of singers from Lacefield Music. Carolyn has a heart felt passion for Autism, as well as Autism Awareness as her middle son, Mylan, has Autism. Store Manager for our St. Charles location. He has been with Lacefield Music since 2005. An industry veteran, he cut his teeth in the piano and organ business with Ludwig Aeolian. Howard keeps his residence in Lake St. Louis. Howard is married to Linda and has four children. He loves watching sci-fi action movies and listening to St. Louis Cardinal baseball. Howard loves progressive rock and is quite possibly the pickiest eater you will ever meet. He is affectionately known around here as “How-Weird”. Brian has been with the company since 2006. From the beginning he has shown the ability to take on a more challenging role at Lacefield Music. Previously the operations manager, Brian found a passion for repairing pianos. 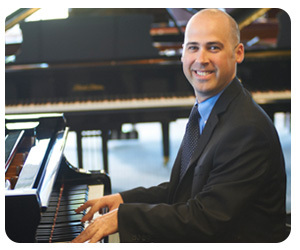 He is our current in house digital piano and organ repair specialist. He has branched out on his own and runs his own digital repair business, The Digital Doctor! Originally from Nebraska, Brian is a life long Cornhuskers fan and a loving father of two sons. Peggy Tosh keeps the South County store running. She still works with the day to day business 2 days a week helping customers and keeps the store running smoothly but has expanded her role into accounting for 3 days each week. She is also a student and helps other students who come in for extra help. If you have question Peggy is the person to see in South County. Peggy is married to Gary who also keeps our stores running impeccably. They love visiting their daughters and grandkids. Gary works in both South County & St. Charles each week. He keeps us in tip top shape each day, making sure every customer is cared for and daily store operations handled smoothly. Inspired by the path his wife Peggy took, Gary joined Lacefield Music in 2012 when the Chesterfield Mall location opened. Before that he served our country in the United States Air Force. Now retired from the Air Force, Gary enjoys jogging and spending time with Peggy, their kids, and grandchildren! Plus, he is also a Lacefield Music student! Stop by and see him! Pete grew up in Bristol, England. He studied Classics at Oxford then came to California in 2010 to do an internship at UC Irvine. He now lives in Shiloh, IL with his cousin and three dogs. He tutors math and adult literacy through SWIC and teaching is his favorite part of working at Lacefield Music. Pete loves sport and almost all kinds of music, and as well as keyboard instruments he plays guitar and drums. Heather was initially a piano student with Lacefield Music. She joined the Lacefield Music team in 2014. She plays on the Worship team at her church in Granite City, IL. 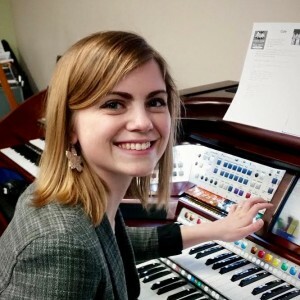 She has a passion for both piano & organ, & loves sharing her love of both with clients & students alike. 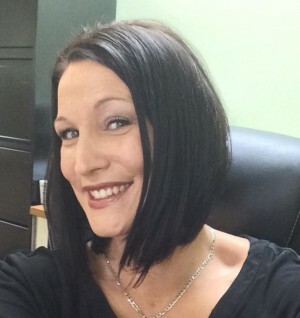 You can visit Heather at our South County store. Her nickname is “Princess Opal”. Jimmy joined Lacefield Music in May 2016, after exploring careers in almost every field imaginable. He has played the piano for over 30 years, since he was 4 years old. He began composing his own music at the age of 13, and has earned awards from the Mid American Music Association for his compositions. As a teacher at Lacefield Music, he really enjoys the personal fulfillment he gets from helping people achieve their dream of learning to play. He likes all forms of music, with few exceptions, but especially likes classic rock & blues. He is a St. Louis native, where he lives with his wife and teenage son. .Kadie joined our Lacefield Music team in November 2016. She graduated with a degree in musical theatre. As a singer, dancer & actor, some of her favorite rolls include; Millie in Thoroughly Modern Mille and Belle from Beauty And The Beast. Kadie has a passion for people and is thrilled to use her talents daily at Lacefield Music. She is happily married to her husband Andrew and they love serving at their church where Kadie plays on the youth worship teams. Donovan is our delivery operations manager started with Lacefield Music in February 2016. Donovan is dedicated to his work and is a quality member of the Lacefield Music staff. When Donovan is not working he loves spending time with his wife Hannah and four children. His hobbies include building RC cars and hiking. If you want to get on Donovan's good side just give him candy and you'll be his friend for life. Good & Plenty's make him smile more than just your average candy.